Kenwood TK 3140 Antenna. Used. 922. In addition, this walkie talkie can convey your sound to others clearly and loudly. With this interphone, you can communicate with your partners or workmates much more convenient. Here we are going to introduce this BF-888S 5W 400-470MHz 16-CH Handheld Walkie Talkie to you. BAOFENG UV-82 Dual Band FM Transceiver (not included battery). Function Busy Channel Lock "BCLO". Mode of operation. 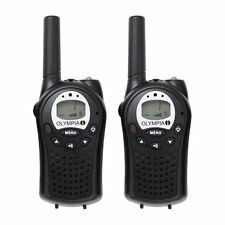 Frequency Range: 136-174 & 400-520MHz Dual Band, Dual Display, Dual Frequency,Dual Standby. Suit for BAOFENG UV-5R,UV-5RA,UV-5RB,UV-5RC,UV-5RD,UV-5RE,UV-5RA PLUS,UV-5RE PLUS. TYT TH-F8 TH-UV3R. Collect radio accessories to prevent losing them. Note: Light shooting and different displays may cause the color of the item in the picture a little different from the real thing. Brand new in box. Non-gps version. Does NOT come with programming cable. Software is a free download. · 16 canaux PMR446 et 121 codes privés. · Écran avec affichage caché donne le statut de la radio. Vendu dans une mallette de transport très pratique. · Jusqu'à 10km de portée (suivant relief). PLUS VALUE . Kenwood TK-3402U16P Two Way Radio. Condition is Used. Shipped with USPS Priority Mail Padded Flat Rate Envelope. 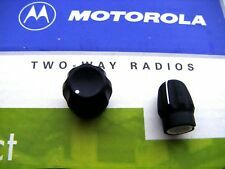 Motorola RDM2070D Walmart VHF Two-Way Radio. 2 watts / 7 channels Radio Only. Radio powers on and says Walmart ( and - buttons allows you to scroll through all 7 channels). Radio is in good pre-owned condition. 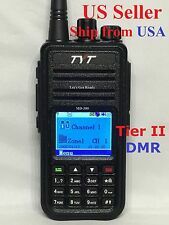 Zastone ZT-V9 Dual Band HT Ham Radio. Condition is Used. Shipped with USPS Mail. Comes with everything pictured, nothing else. Used but works great. 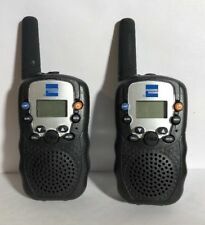 Midland LXT600VP3 Two Way Walkie Talkie Radio Set (30 Mile Range)w/ Charger NEW! The LXT600VP3 features 121 Privacy Codes. roger beep, easy button access, and a battery life extender. In addition, the LXT600VP3 has a 3-Year Warranty. with Easy Button Access. This radio provides an easy-to-use. Condition is Used. These Motorola 2-way radios are in great working condition. Little signs of use. Complete with charging base. See photos for actual item details and condition. We try to respond as quickly as possible. Factory Sealed Dewalt Heavy Duty Walkie-Talkie Two Way Radio System DXFRS800. Condition is New. Shipped with USPS Priority Mail. This ALL very clean working, rear mount cable NOT included., very clean, removed working. NOTE- I AM OUT OF MOUNTING BRACKETS. as will all electronics, they are sold as -is. Lot of 12 Motorola CP200 radius UHF model AAH50RDC9AA1AN (9 UNITS) and AAH50RDC9AA2AN (3 UNITS). Motorola OEM SmartRib FLASHport RLN-1015C for Astro XTS Spectra MTS. Condition is used but in great working condition. The power supply is included along with the SmartRIb. I have used this for many years without issue for reading/programming and flashing. When flashing you need to use an appropriate cable for the radio not included and will need your own serial cable. Cobra MicroTalk CX116A 18-Mile 2-Way Walkie Talkie Black CB Radios (0051). Condition is New. Shipped with Economy Shipping. Up for sale I have a Kenwood TK-190 Low Band 35-50 MHz Two-Way Radio with Battery, Antenna, and Mic. This is a pre-owned item that was recently taken out of service from a fire station. Midland 75-822 CB Radio. Portable CB radio with 40 CB channels, 10 NOAA channels, and 4 Watts of output power. EFFINGHAM RADIO REPAIR. r 5 ( 120. j 8 ( 333. A Dealer. Nice Radio g 6 ( 684. ). GXT1050VP4 Two Way Radio. Manufacturer Part Number GXT1050VP4. Product Model GXT1050VP4. Product Title Midland GXT1050VP4 2-Way Pair. Manufacturer Midland Radio Corporation. 5 animal call alerts, SOS siren, whisper and group call. Motorola T600 H2O Two-Way Radios. The model #: H04SDF9PW7AN. Astro IMBE (P25 Digital). I have tested the radios for TX and RX. The radio is transmitting at 3.5 watts or better. New Antenna. Used Radio. For sale is a Red Motorola MTX8250 LS 800MHz portable radio. Radio will come with a new 2500Mah battery, new belt clip, stubby antenna, new dust cover, and desktop charger. Has a new red Motorola housing with new keypad and new knobs. This radio can be programmed with the regular “Professional Radio CPS” unlike the Standard MTX8250 trunking radio. This radio will do 128 conventional channels. This radio is the 800MHz equivalent of a HT1250. Make me an offer. Motorola XTL1500 P25 Digital Radio M28URS9PW1AN. MODEL M28URS9PW1AN. w/ Microphone. This radio has been auto tuned/aligned with my Aeroflex 3920 by Elite Technology. These radio are in great working condition. Product Model #: UM380. Product Model # UM380. Product Model: UM380. Manufacturer Part Number: UM380. Manufacturer: Uniden Corporation. Frequency Band: VHF. Product Type: Marine Radio. Digital Selective Calling: Yes Class D.
The 75-822 features instant access to NOAA Weather Radio, for weather/hazard information in your area 24/7. The Dual Watch feature lets you monitor channel 9 and another channel of your choice simultaneously. XTS3000 III. H38: SmartZone Systems Operation. UHF 403-470MHZ. Q806: ASTRO IMBE Digital Operation. I tested this radio myself for TX, RX and modulation, works GREAT! Q173: SmartZone Omnilink MultiZone Operation. The label on the bottom of the radio does match the serial number, and flashcode that is in the radio's codeplug. The radio was tested for RX and TX. The radio was transmitting at 35 watts or better. What you see is exactly what you will receive. Nothing more or less. New open box. Motorola XTS5000R Model I VHF Radio. 136-174 MHz. This radio is in very good condition, used professionally and recently removed from service. It includes antenna and battery. The radio is P25 compatible but is currently set up for analog.FREE PROGRAMMING is now included - up to 16 channels conventional only. 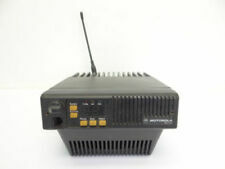 MOTOROLA SPECTRA ASTRO MOBILE MIC HMN-1080A . Untested.In great physical shape.See pics.Ships out LIGHTNING FAST!! Motorola HT1550XLS UHFL 403-470 Mhz. HAM BANDS with permanent FPP with any battery that fits the radio, newest firmware. Condition 9 OUT OF 10. NOAA radio service may not be available in all areas. Compatible with Any Radio With 22 channels and 121 privacy codes, totaling 2,662 combinations, it’s easy to find an available channel. 22 Channels Each with 121 Privacy Codes. PART NUMBER NNTN8235A. 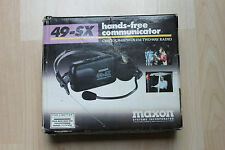 WORKS WITH SRX SERIES MOTOROLA RADIO. NEW MOTOROLA BROWN SUBNERSIBLE REMOTE SPEACKER / MICROPHONE WITH CLIP. WINDPORTING REMOTE SPEAKER MICROPHONE LESSON BACKGROUND NOISE FROM HIGH WIND, SERVE WEATHER AND OTHER OUTDOOR NOISES. Cobra - PRO series 28-Mile FRS 2-Way Radios (Pair) - Black. Condition is New. Shipped with USPS Priority Mail. COBRA HANDS FREE WALKIE TALKIE RADIO PRO PR562 BLT NIB Free Shipping!! PRO PR562 BLT. WALKIE TALKIE. HANDS FREE.